GALLERY TARGET is pleased to announce our second solo show by AYAKO ROKKAKU, “OBSCURA” starting from May 18th. 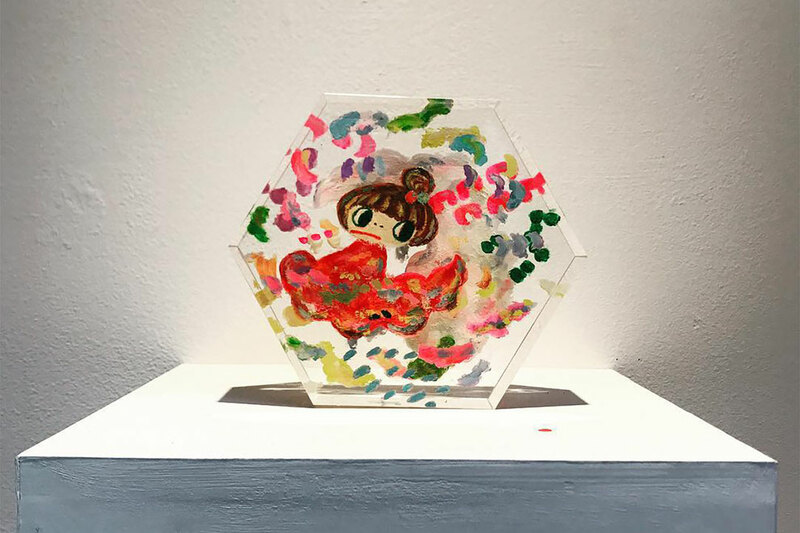 “OBSCURA” is a name of a project Rokkaku has been working since 2015, sculptures consist of layers of acrylic boards. This project was first released at TEFAF 2015. The characteristic of “OBSCURA” is in which can depict depth and back of images. By this Rokkaku is able to bring out more of her dual nature. Since 2015, acclaimed “OBSCURA” series has been exhibited in ART TAIPEI and a solo show at Gallery Delaive. In this exhibition, we will be showing new “OBSCURA”, canvas and drawing works. We also are scheduled to release a wood block print made specially for this exhibition. As if tracing back memories, images pop up in my head, like burial marker to step forward. Both feeling of floating and heaviness and facts and imagination coexist. These are the inspiration for this acrylic resin sculpture series “OBSCURA”.